Atlanta is one of the best cities in the country to be an innovator. It's the second most affordable city in the country, while entrepreneurs in other cities cram themselves into small "hacker hostels" to make ends meet. Over the past five years, the city attracted over $700 million in private investment through InvestAtlanta, and Atlanta added nearly $100 million to its cash reserves. Equally notably, the city is re-embracing the social movements embedded in its history and is investing in historic landmarks, as seen through the launch of the Center for Civil and Human Rights and the expansion of the Sweet Auburn Curb Market on Edgewood. Even Outkast is back! But some boats aren't rising with the tide. Children in Atlanta have only a 4% chance of upward mobility, and Atlanta has the highest income inequality in the United States. This creates a tale of two cities within the city I call home. Civic entrepreneurs can help close the gap. A civic entrepreneur is someone with a product or service that solves a public challenge. In Atlanta, civic entrepreneurs are finding new ways to solve local challenges -- like Jason Martin, who built the STE(A)M Truck, a mobile education lab for teaching science and math to students, and Brian Preston, who runs Lamon Luther, a high-end furniture company that transforms homeless men into craftsmen. Public organizations in Atlanta, both government and nonprofits, can help grow the market of civic entrepreneurs immediately by doing two things: First, open up more government data, and second, make it easier to invest in local civic entrepreneurs. Because government data is usually messy and disorganized, the decisions to keep or cut important programs are often left to gut reactions. Opening the data can open up a new economic opportunity and help public organizations make more informed decisions. As the Open500 project showcases, hundreds of national companies use open government data as part of their business model. This includes seven Georgian companies, ranging from powerhouses like the Weather Channel and Blackrock to startups like Atlanta's own Department of Better Technology, which brings government into the 21st century through more sensible RFP processes. The more data that is opened up, the more entrepreneurs will be inspired to launch businesses that solve the city's problems. States like Massachusetts, California and New York have strong open data standards and, consequently, a large number of businesses built on public data. Civic entrepreneurs are not building charities: They are building businesses with the strategy of a private enterprise but the limited resources of a nonprofit. They need seed capital to test and prove their ideas. This is where public organizations can step in. Public organizations and local governments can provide first contracts to civic entrepreneurs, which lets public agencies experiment with new ways of delivering services, often at a rate far below market. In Philadelphia, City Hall partnered with Wharton, social accelerator GoodCompany Group and Code for America to create FastFWD, a competition that helps civic entrepreneurs secure government contracts on pertinent community challenges like public safety. One of the winners was Atlanta-born Village Defense, an easy to use, neighbor-to-neighbor communications tool that curbs crime by up to 80%. In order to bring those kind of partnerships to Atlanta, I am launching the Center for Civic Innovation. It will serve as a lab for civic entrepreneurs to test new ideas on public challenges. The work of CCI is guided by a Civic Innovation Council made up of young leaders from across sectors in Atlanta. The center's first initiative is a partnership with the Atlanta Community Food Bank to find new approaches to tackling food security in the city, where almost 800,000 people require the support of food pantries and meal service programs. Lessons from this pilot program can be applied to systemic issues impacting Atlanta, including workforce development, education and transportation. If Atlanta can create a strong ecosystem for civic innovators, it will create a ripple effect for other cities with high levels of income inequality. Civic innovators will redefine the way donors and taxpayers expect their money to be used, and cities can reinvent the way services are delivered to their residents. This is a moment for leaders in Atlanta to, once again, redefine history for the rest of the country. 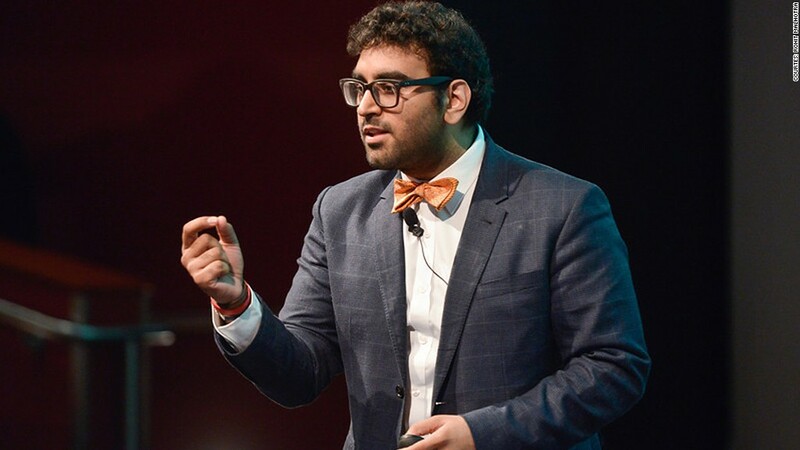 Rohit Malhotra is the executive director and founder of the Center for Civic Innovation in Atlanta, his hometown. Most recently, he served as an Ash Innovation Fellow in the White House Office of Management and Budget.